Your company’s leave policy is unique and tailored to suit your business need requirements. 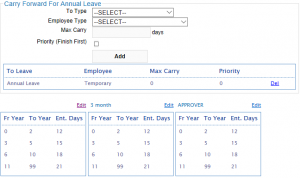 Our BizCloud HRM e-Leave system was designed with this in mind so we could be dynamic to adapt to most of the requirements that various businesses uses to manage their leave management. 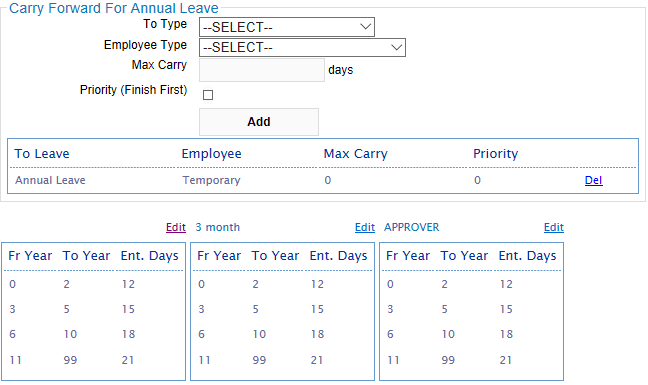 The table below gives you an idea on how to setup each of the leave types that you are currently using and also able to allow you to create unlimited leave types that your company may use in the future. 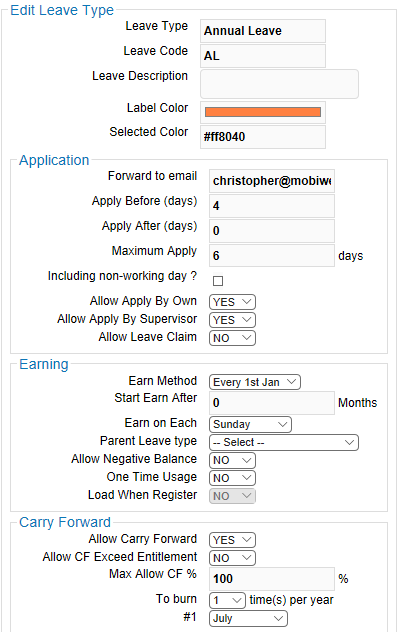 Allow Negative Balance Yes: Employees are allowed to apply leave, even if there is no available balance. No: Employees are NOT allowed to apply leave if there is no available balance. 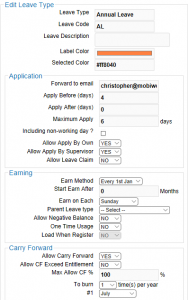 Start Earn After If above setting is Monthly, how many months after joining.